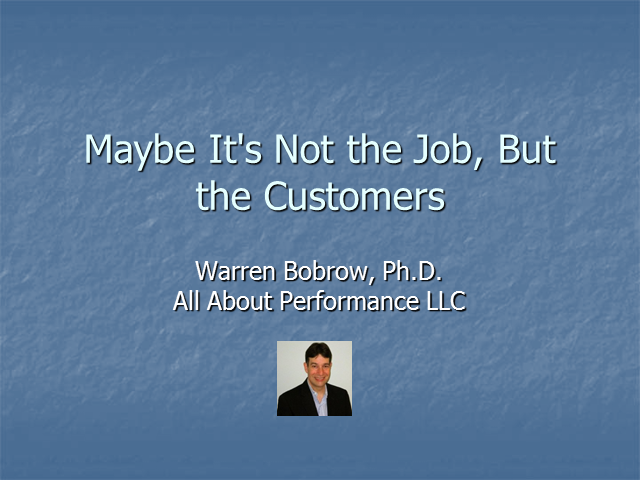 CCNG talks with member Warren Bobrow, President of All About Performance about selecting people for jobs based on the knowledge, skills, abilities, and personal characteristics (KSAPs) required to do the work. KSAPs can differ for the same contact center jobs when considering different kinds of customers. Join our webcast interview with Warren as he discusses the differences between the customers who call contact centers and those who contact centers through the chat channel and how those difference affect how you should recruit and select agents. Warren is a regular contributor to the CCNG member blog at CCNGMembers.org.